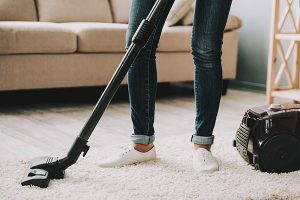 Any home needs a bit of upkeep – there are a hundred different minor things all around your house that need tinkering, cleaning, and fixing. Despite this, entry doors aren’t typically thought by most homeowners until something goes wrong with them. While nothing beats proper installation of a high quality entry door, there are plenty of problems that can arise. These doors aren’t a complicated matter, but it’s important to understand the differences in them and their general anatomy first. From there it’s matter of going over some of their issues, followed by some ways on how to avoid their intrinsic complications. You may not think of it, but a door is more than handles and hinges – though of course these are part of them! Knowing the individual pieces of a door will help you understand some of the recurring problems with them and how to fix them. Many of the installation problems come with the framing, as discombobulated headers, shims, and molding can all cause entry door issues. Aside from these framing problems, things like handles, hinges, hinge pins, and locks can have their own set of complications if not put in correctly or just have general wear and tear. Many of the problems with the door often come from the doorjamb, or the spot the hinges are connected to. 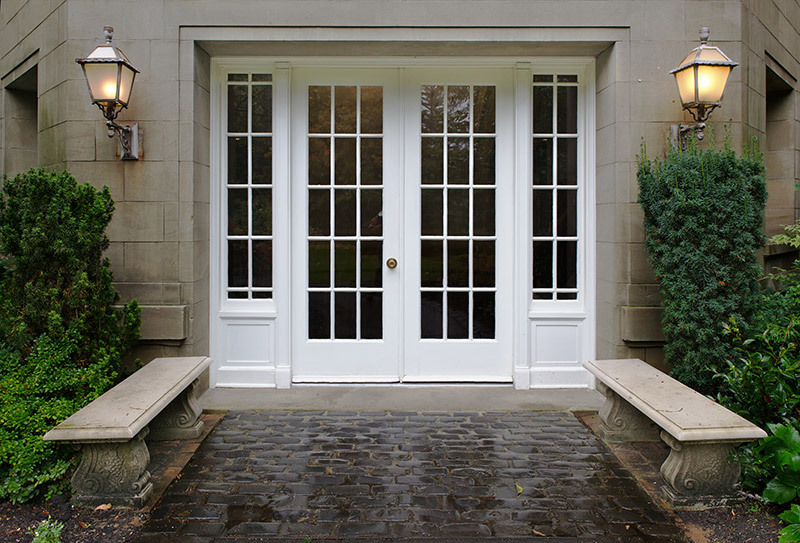 There are a few different types of doors – with the most common being solid core, hollow core, and paneled. Hollow core doors are much lighter and are often used inside. 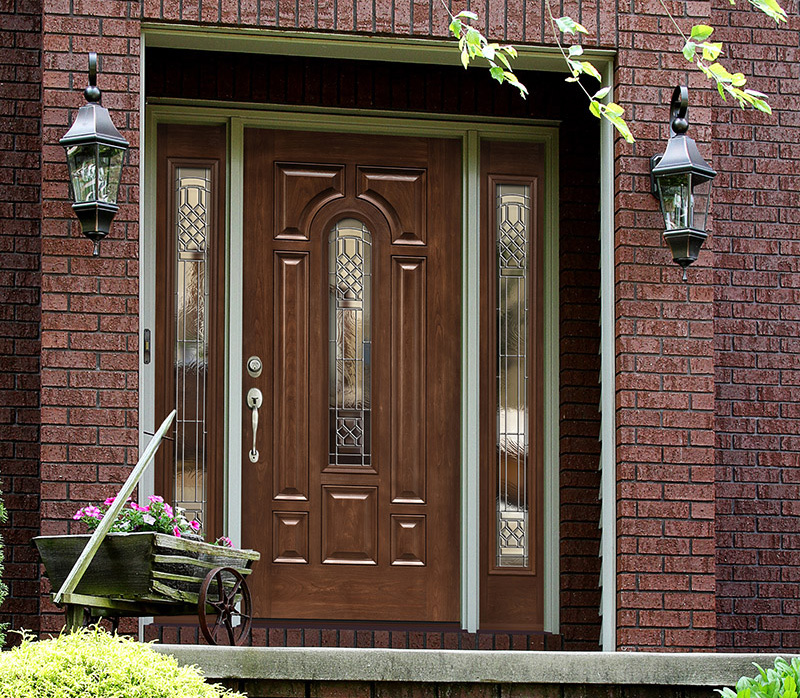 Exterior doors on the other hand are typically made of solid core as they have increased insulation and durability. Some are made up of panels though, and are typically pricier as they are more ornate than typical flush variants. Entry doors also differ from their indoor cousins by having an additional hinge – this is to help hold their greater weight. When it comes to materials, these entry ways also have a few choices – with the most common being fiberglass, steel, or wood. The latter of these is actually one of the most durable and easiest to fix as there are many wood fillers and wood protectants on the market today. Wood doors do suffer from other intrinsic problems though as being more expensive and prone to expansion in the summer months. Steel is the cheapest, but is surprisingly the least durable. The primary advantage of this type of door that it needs little upkeep and has decent insulation. Fiberglass is moderately priced and holds up remarkably well – this entry door material is dent resistant, but can crack under severe pressure. Incorporating the door into the existing frame of the house carefully is incredibly important. If, for instance, the jamb is unplumb, this will not allow the door to shut properly as the hinge will be at a slight diagonal. What will often happen in this case is that one corner will be too tight, with the opposing one having too much of a gap. This doesn’t have to be that extreme either – even being off by a ¼” can cause this problem to happen. The door jamb itself is also prone to weathering and can become cracked, split, or rotten, especially near the base. Additional gaps can also be found around the perimeter of the door from faulty weatherstripping, inhibiting its ability to keep the hot or cold air out. The stop molding itself might become too tight, as this will make the entry door difficult to close. On the other hand, being too loose is bad too as this can make the door rattle. 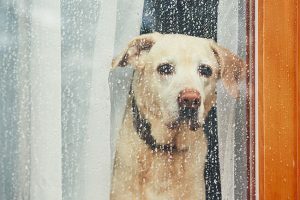 Wooden doors are particularly prone to the weather as they can become swollen in humidity, typically during the wetter summer months. Over time locks can come unaligned – just a slight malformation can cause considerable frustration locking or closing. Because of their near constant contact with outside air, entry door hinges can also erode and rust, becoming squeaky in the process. Thankfully basic problems such as a stuck door handle or a squeaky hinge only need a little bit of lubricant. While any type will work, graphite and silicon are the best since they are the longest lasting. As mentioned before, proper installation is integral to overcoming many of your entry door problems. If any rough framing needs to be done it’s good to have it as accurate as possible – try to keep everything square and within a ¼” of each other at the least. Everything from speed squares, bubble levels, and measuring tapes will be needed to start. The installer needs to make sure everything is plumb and attached correctly. Often times longer screws can be used to attach hinges to help grab the wood. It’s important not to over-tighten though as this can pull the frame of the door over, which can cause gaps. In some circumstances the hinges might need to be shimmed out, or the strike plate set deeper to avoid any unnecessary tightness. Sanding of the edge of the door itself might also be needed in some cases. Always use the proper hardware and material for your door. Obviously you should avoid hollow core doors. Since you’re going to be using a solid core you should make sure you get an exterior hardware kit – something that is resistant to temperature fluctuations and humidity, while also having enough strength to hold up this heavier door. If you have a wooden door, it’s extremely important to seal it properly. This might require some sanding and a couple of coats – but properly sealing it will make it more resistant to swelling during the wet season. Other upkeep to avoid problems with your entry door can be performed every once in awhile. Try to keep the screws on your door tight, along with the hinges well lubricated even if it isn’t squeaking. Worn out weatherstripping can cause draftiness, so it’s good to check on it every once in awhile as it is easy and cheap to replace. Every five years or so you should do some minor sanding and painting, along with applying a basic bug killing treatments a couple times a year. For something that you use every day, you probably don’t think about your entry door too much. 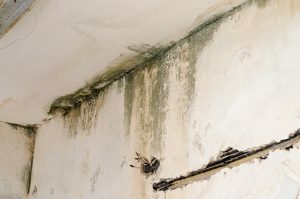 But if you spend just a little bit of time on upkeep you can make sure you avoid most of the problems often associated with them like gaps, tightness, and basic erosion. If you’re getting a new entry door make sure it’s done correctly – following proper procedure will give you an entry door with little to no problems for decades to come. While they may seem pretty basic, it’s good to know more about your doors so you can easily pinpoint any associated problems with them. Knowing what they’re made out of will give you the knowledge to apply the proper sealers and paints to keep them opening and closing with ease. Entry door problems are a nuisance and it takes a lot of work to avoid these problems. Feldco makes it easier on homeowners with entry door replacements that will permanently fix your problems for good. Get a free quote now and speak to our expert representatives relating to entry doors.